this is my first handmade artbook. the story on this book based on an indonesia fable my mother used to tell me when i was a child. it’s called “kancil mencuri timun” (the mouse-deer who stole the cucumbers). through this book, i’d like to put my own spin on the original story :D. that also means you can deliver your own story based on the illustrations in the book. use this book as tools for your story telling (you can also get the large version of the illustration of the map). also nice as a unique gift, or collectible item as well. contains 12 pages prints of original (marker+watercolor+acrylic paint on paper) illustrations. 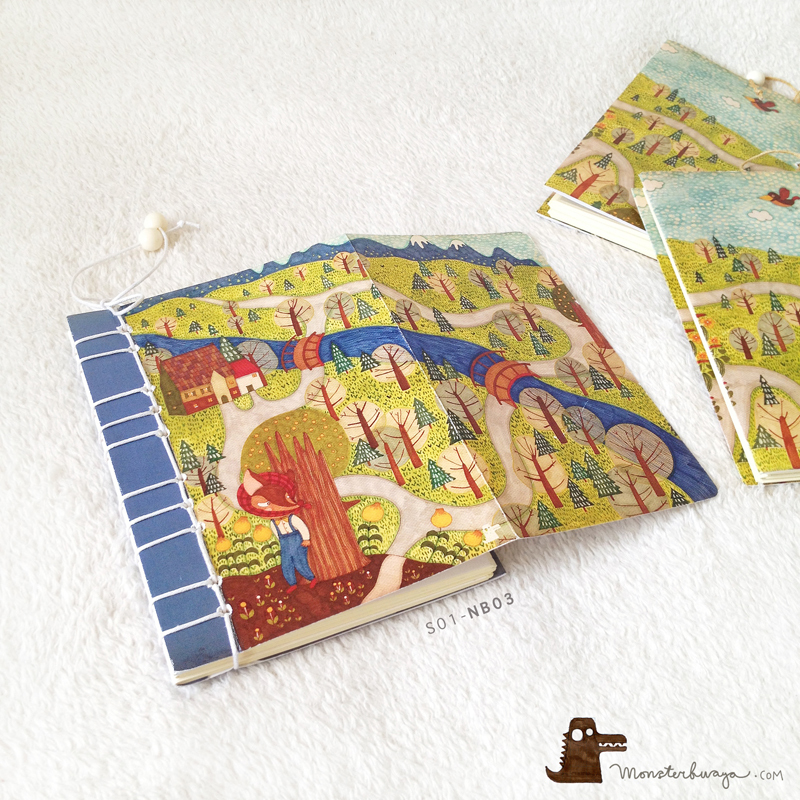 artbook is handmade, hard cover binding, with art recycled paper. real colors may slightly differ from their appearance on your display! Categories: artbooks, series | Tags: bird, cucumber, dog, forest, house, map, mountain, mousedeer, scarecrow, trees | Permalink. 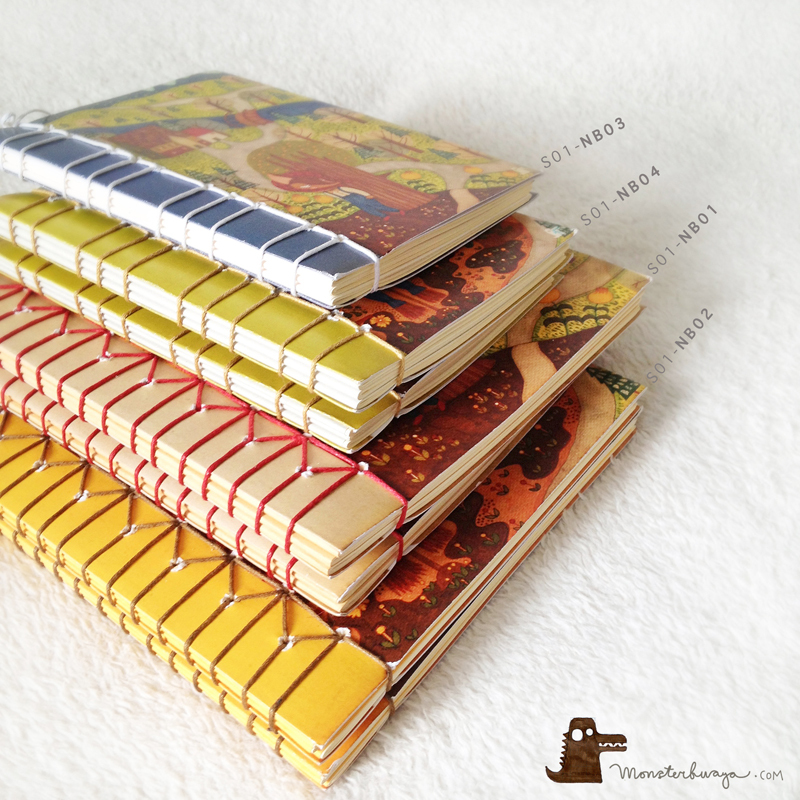 these handmade notebook is as quirky as it is unique. the binding made using the japanese binding technique. 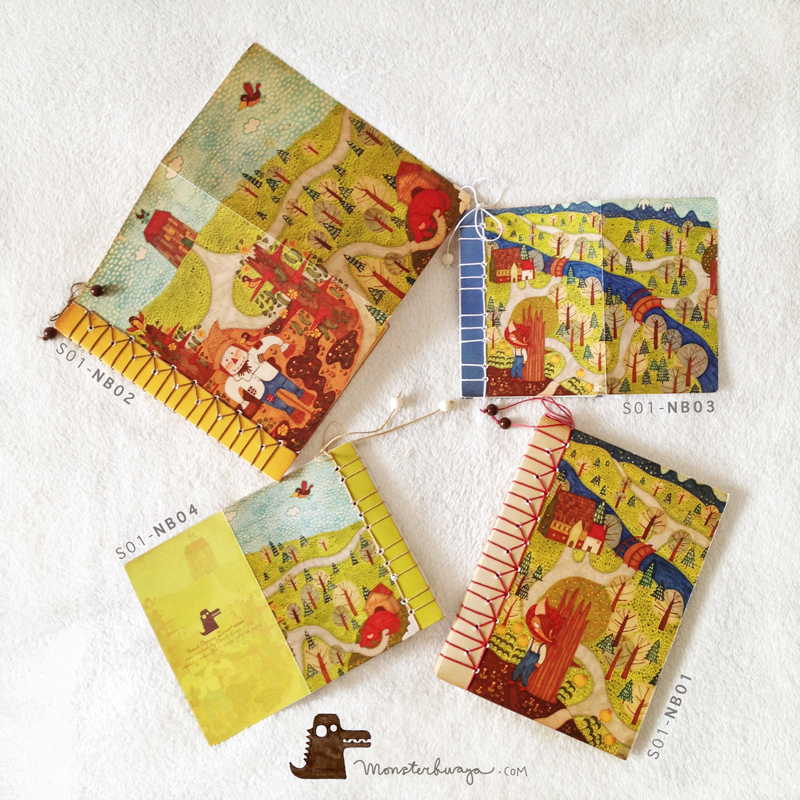 on the cover is a print of ‘kancil mencuri timun?’ map illustration. the map illustration on the cover is folded into two parts, and when unfolded it will reveal the whole picture. the book contains premium quality blank papers, thus it is suitable for your personal journal, a gift, or as collectibles. printed on thick 260 gr semi gloss white art carton paper. notebook 03 & 04 measures 10.5×14.8cm (international size paper: A6). contains 120 pages of multi purpose premium color paper 80 gr (creme). 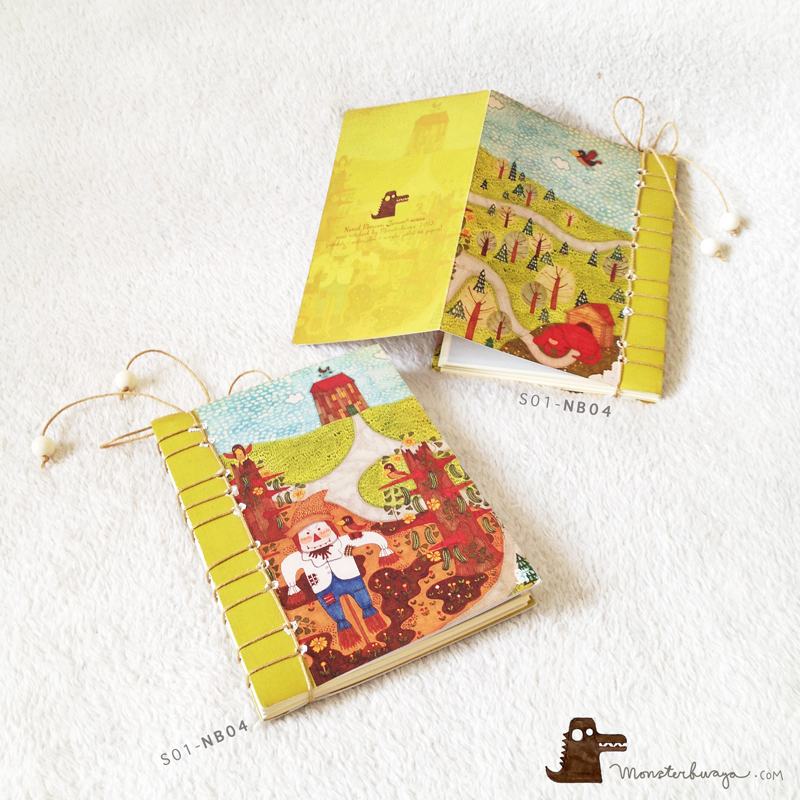 Categories: notebooks, series | Tags: bird, dog, forest, house, map, mountain, mousedeer, scarecrow, trees | Permalink. this handmade paper bag would be great for tiny & small treat or gift. you can put inside with mini notebook, chocolates, small trinkets, even jewelry. with the full map illustration on it, it will be a lovely surprise! prints of original (marker+watercolor+acrylic paint on paper) illustrations. 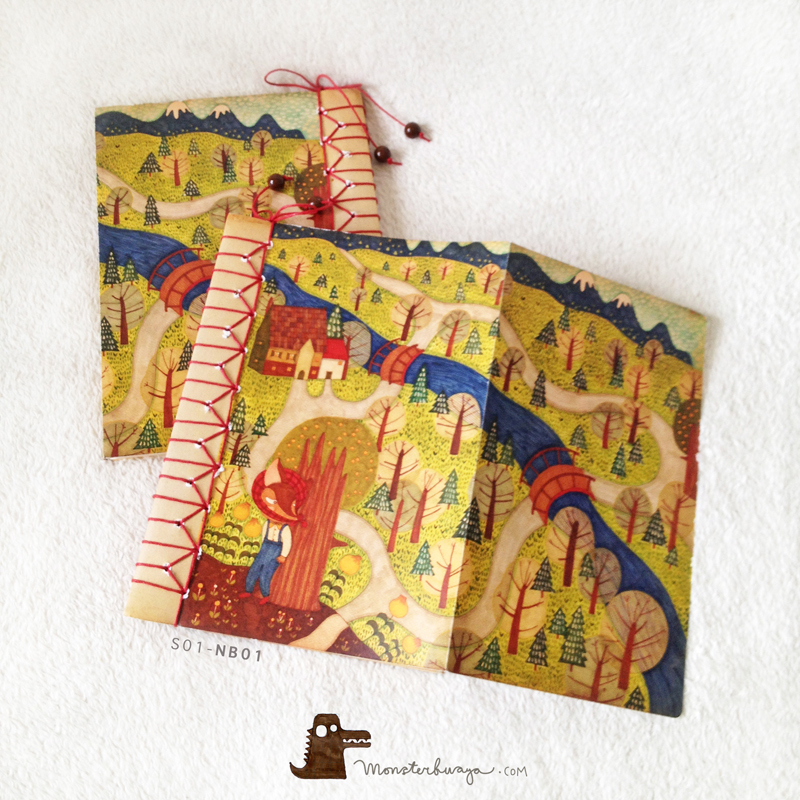 Categories: gift bags, series | Tags: birds, dog, forest, house, mountain, mousedeer, river, scarecrow, trees | Permalink. add a little something special to your gift wrapping with these beautiful gift tags! these gift tags are two sides. one side are prints of some of the characters in this series, and the other side is for you to write the sender and recipient name. i cut it carefully one by one by my two bare hands! (and a scissors of course ><). you will receive a pack of 6 gift tags with different illustration & color. contains of 6 tags: 2 big tags (diameter 10cm) & 4 small tags (diameter 7cm). Categories: gift tags, series | Tags: bird, dog, house, mousedeer, scarecrow | Permalink. all pages from the art book is available as post cards too! there are 12 illustrations, include the illustration of the map. the map spans across 4 postcards, that when you arrange them next to each other, you will get the whole map illustration. you can use these post cards for gift, personal collection, framed for wall decoration, or some sincere greetings. post cards prints of original (marker+watercolor+acrylic paint on paper) illustrations. paper measures 10.5×14.8cm (international size paper: A6). Categories: postcards, series | Tags: birds, dog, forest, house, map, mousedeer, river, scarecrow, trees | Permalink. these are greeting cards with blank inside, so you can write your own greetings. perfect for warmest greetings to family & friends, or as collectible items as well. these cards are prints taken from the art book illustration, highlighting some of the objects, thus it looks like a paper cut card. 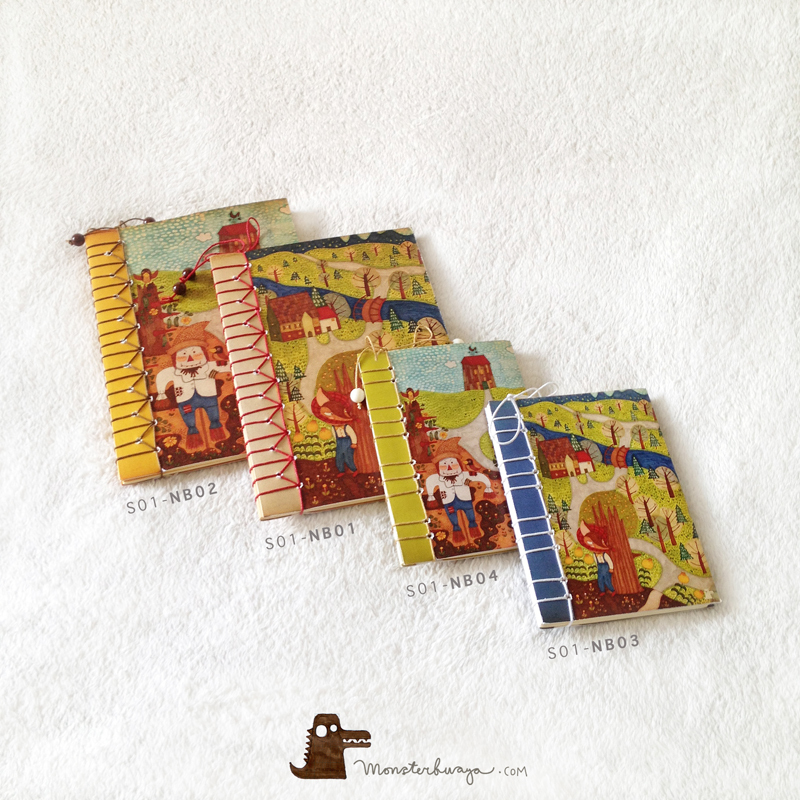 each package includes red/yellow concorde paper envelope. 1 set consist of 1 card + 1 concorde paper envelope. paper measures 10.5×14.8cm (international size paper: A6) when folded. Categories: greeting cards, series | Tags: bird, cucumber, dog, forest, house, map, mountain, mousedeer, river, scarecrow, trees | Permalink. 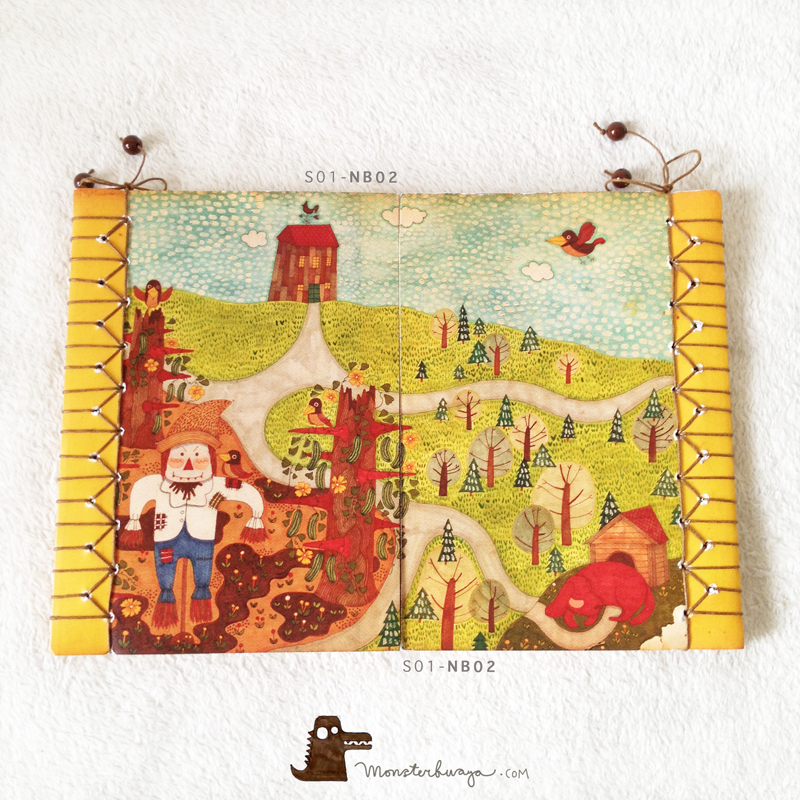 this print is a reproduction of my original illustration for kancil mencuri timun? art book. the prints size is just the same size as the original. this art print would look wonderful when framed, and can be displayed in a number of ways. i believe this will look especially nice for nursery or a child’s room wall decoration. the poster also serves as an inspirations for a children story telling. so please be kind enough and tell to children your own version of the kancil mencuri timun story with the help of this poster! :D also feel free to let the children drawing on the prints while telling the story. it is really going be a fun way to introduce story telling to them! printed on tri slov prime art paper glossy 200 gr. if you wish, i may sign and date the print on the back. Categories: prints, series | Permalink.